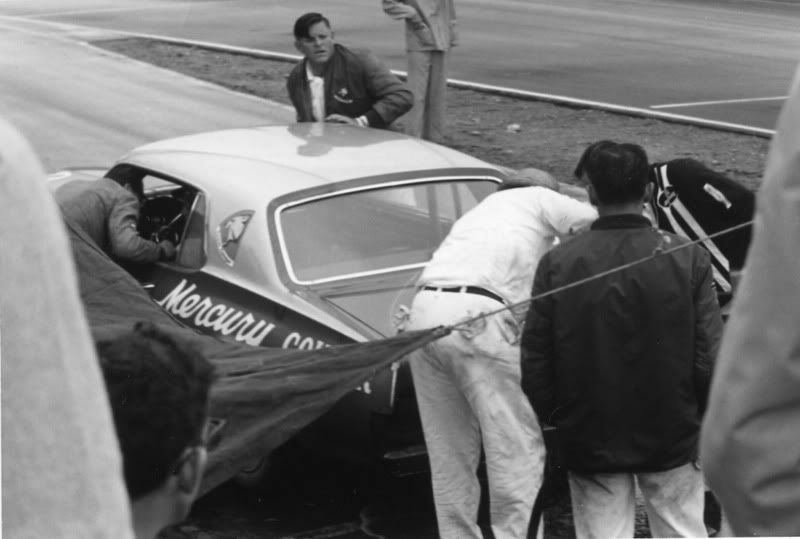 About a third of the way through the race, Jerry Titus was trying to make a pass on Ken Duclos' white Mustang when they came together. 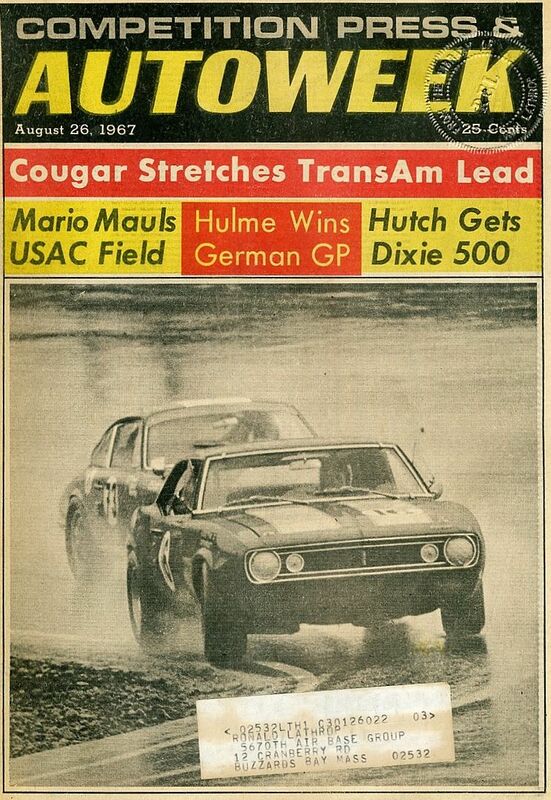 harm's way, but his day was done. 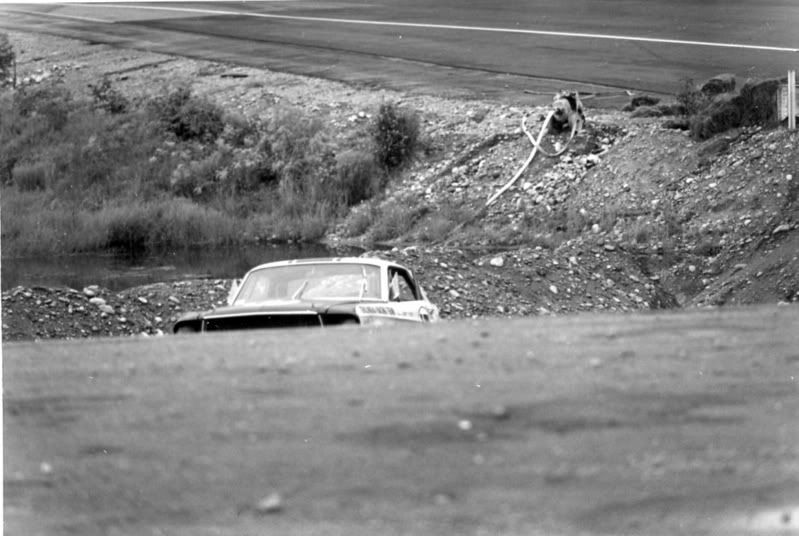 Titus walking back to the pits. 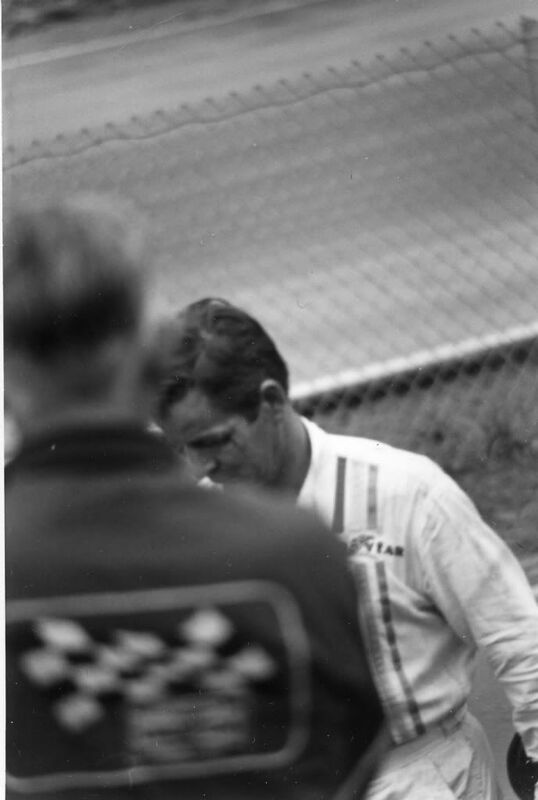 Note the gash by his left eye from the accident. 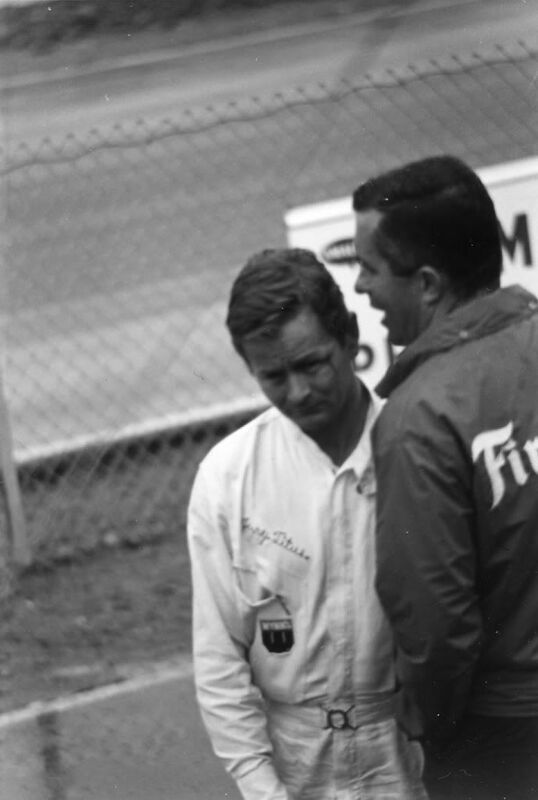 Penske and Titus share a few words. 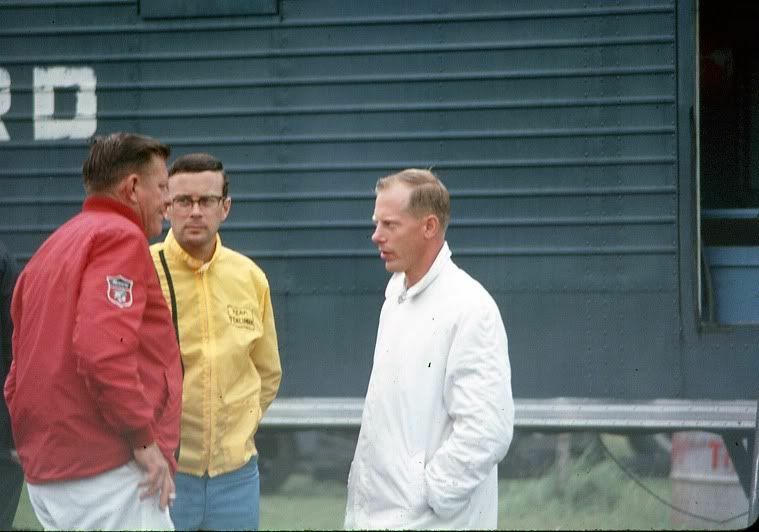 Two more photos of "The Captain". 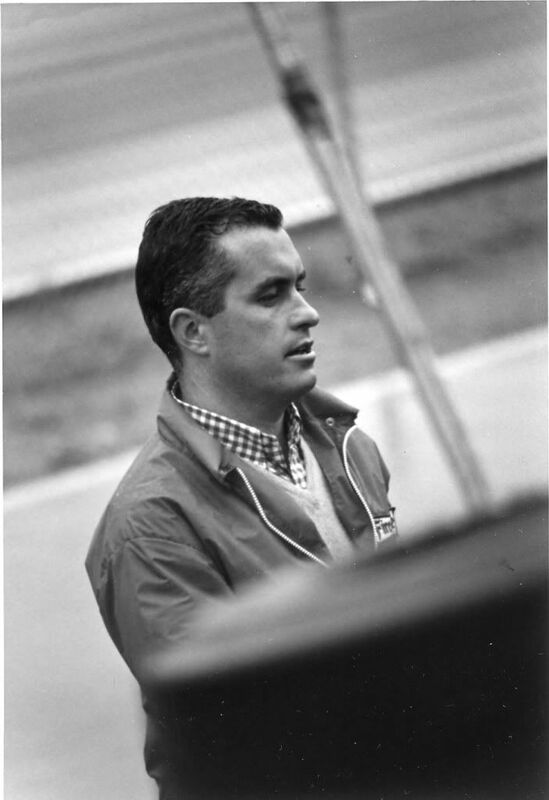 Roger Penske. 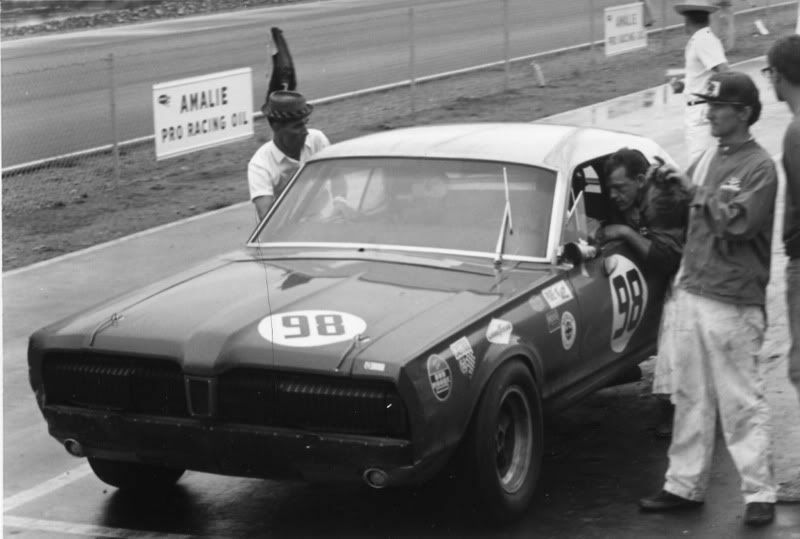 Ed Leslie, the early leader because he started on rain tires, comes in for a pit stop. 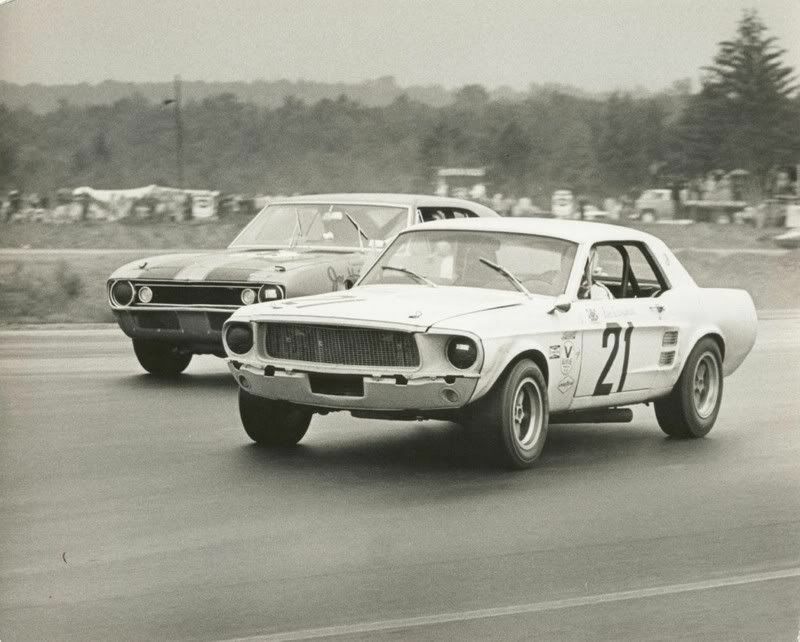 Steve Brownstein's Mustang duels with Horst Kwech's Alfa GTA. 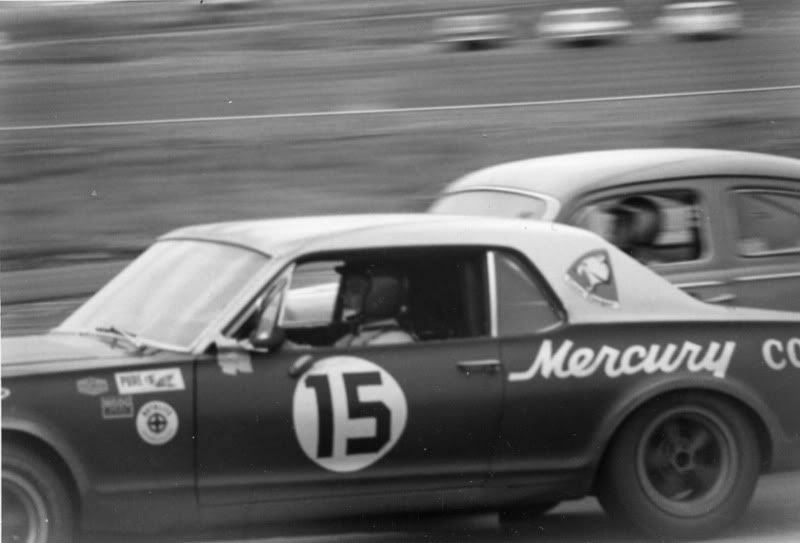 John McComb's Mustang zips past the Jim Baker Alfa which retired on lap 33. 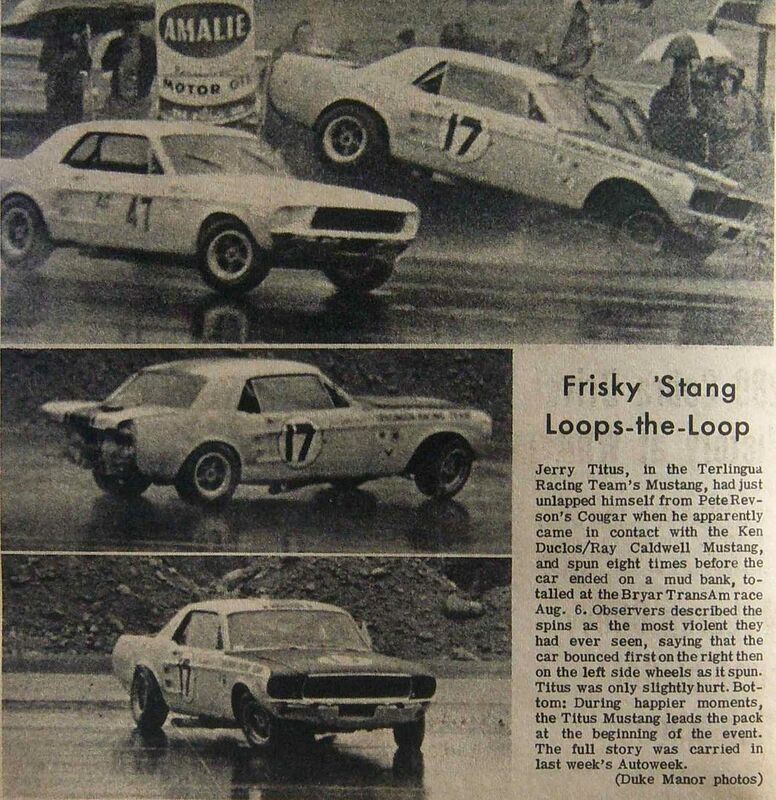 Jerry Titus chose to start the race on dry tires and it put him two laps down when he finally switched to wets. 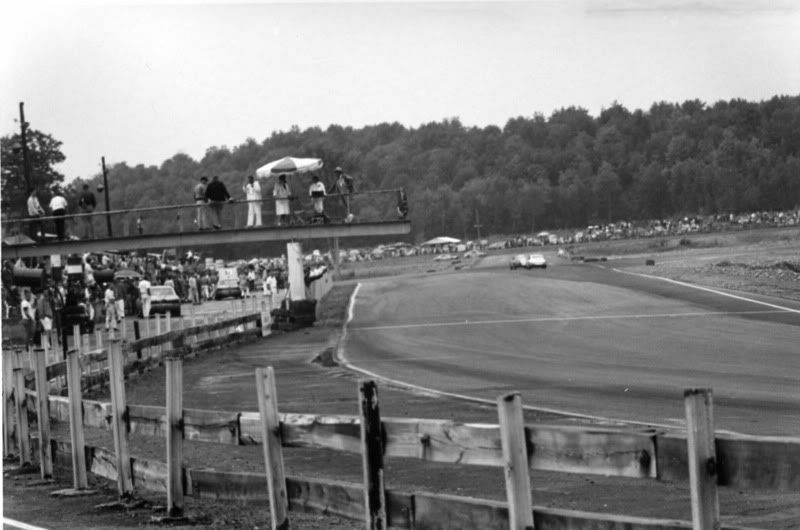 View of the Start/Finish line. 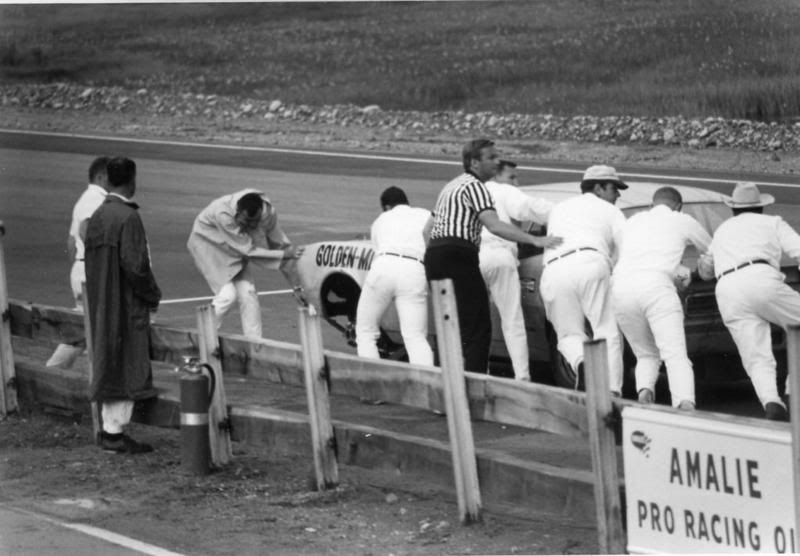 Gordon Dewar broke a wheel near the end of the race by the S/F line. 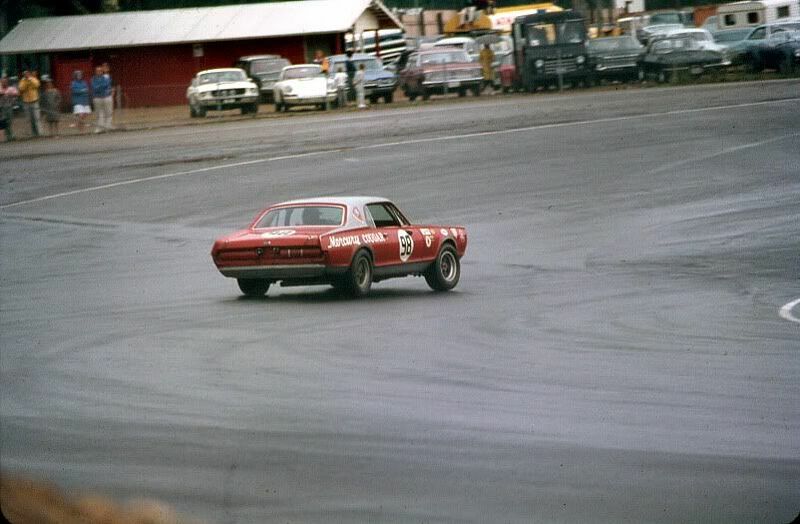 only ruined an axle, it destroyed the half-thickness front sheetmetal that Chevy had specially stamped out for them on a one-time only basis. 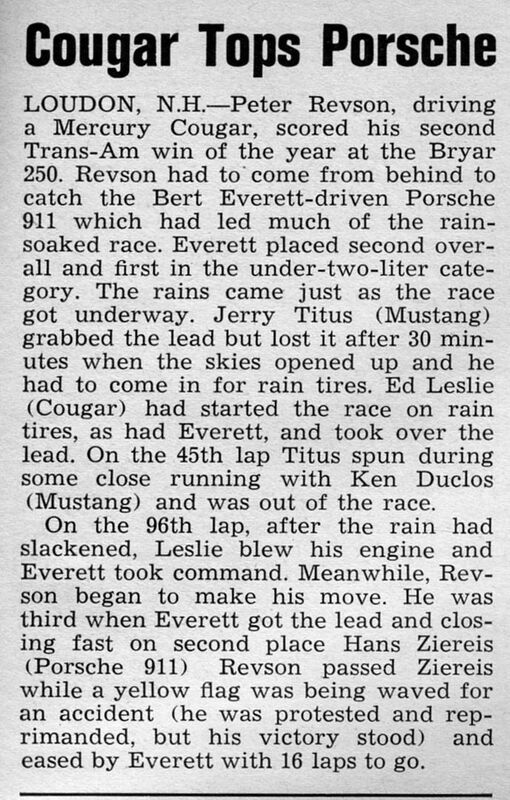 Revson goes on to win the race, his second win of the season for Cougar. 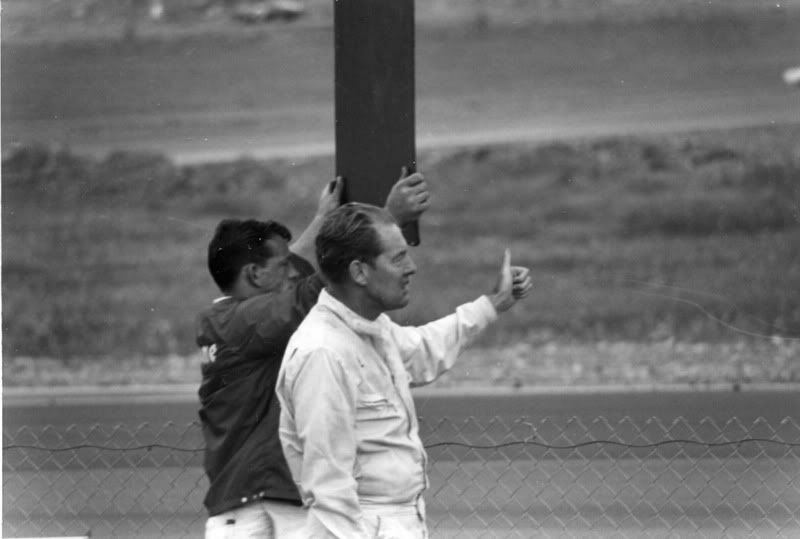 Ed Leslie gives his approval. 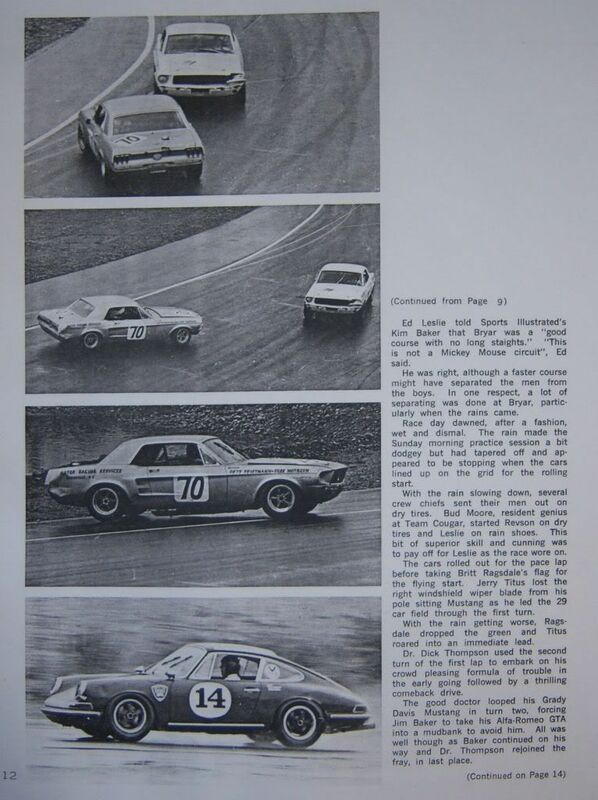 Results, as shown in SCCA "Sports Car" magazine. 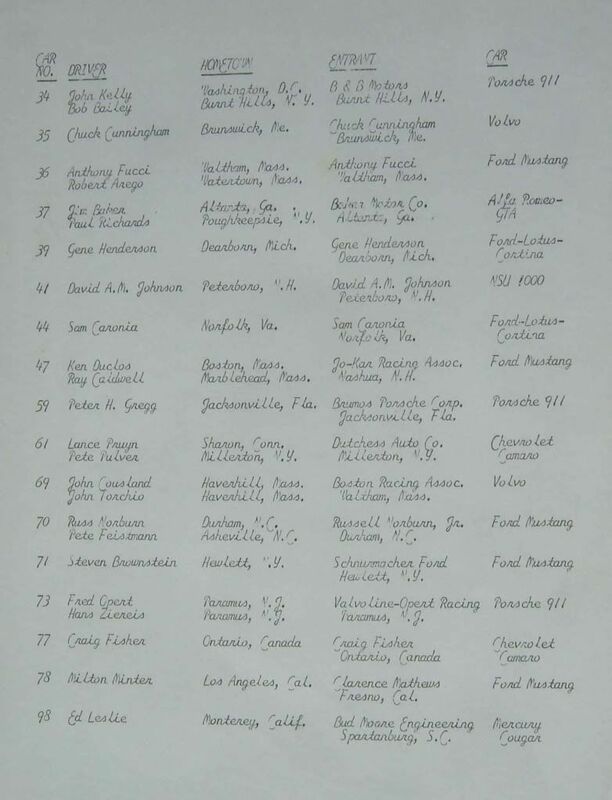 Even though Craig Fisher is shown in the entry list and results, it was really Gordon Dewar. 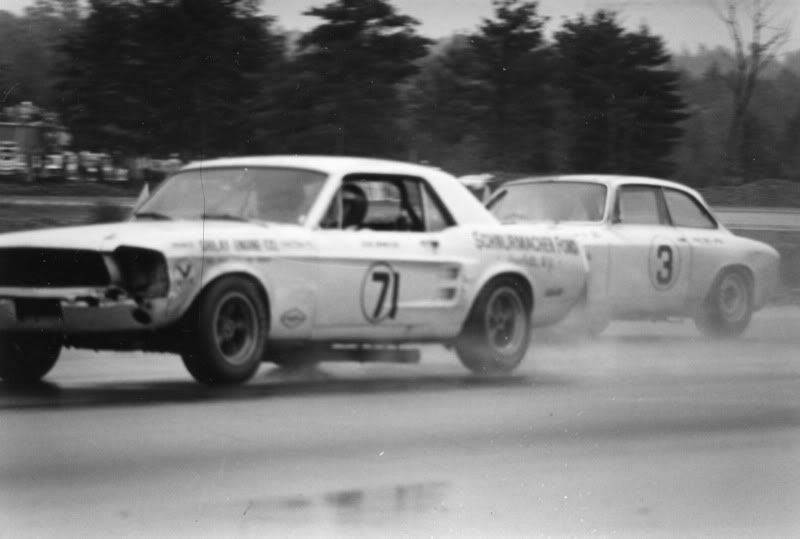 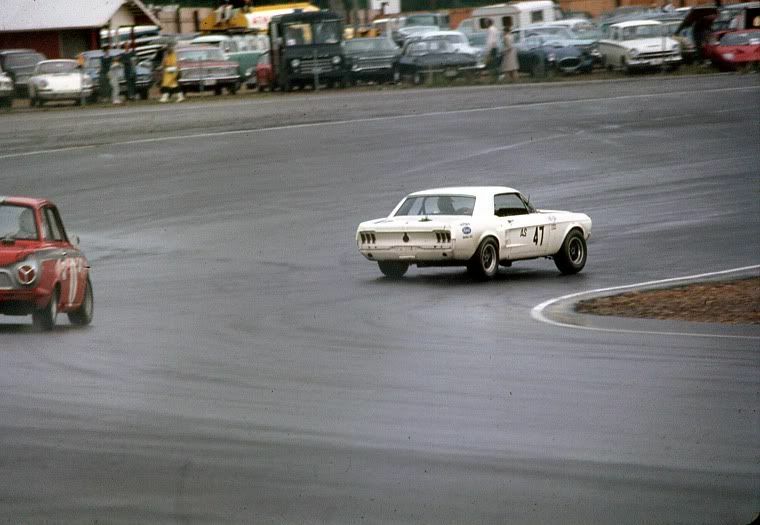 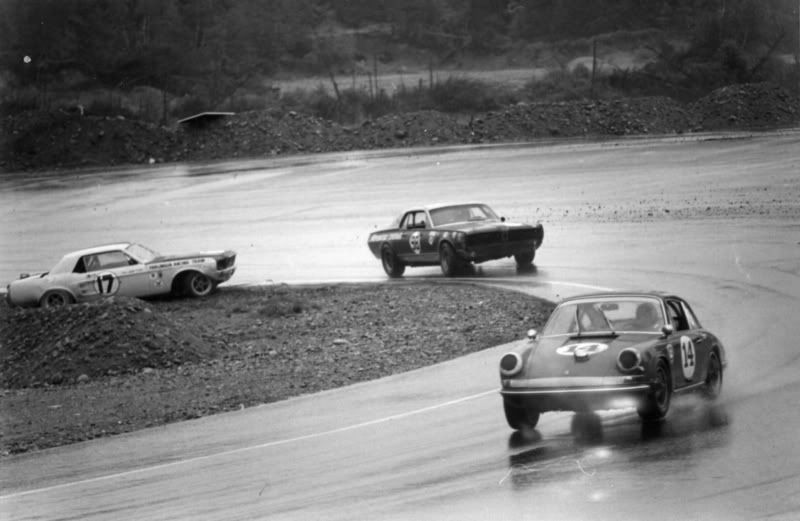 Bob Grossman's Mustang and Johnny Moore's Camaro in a duel. 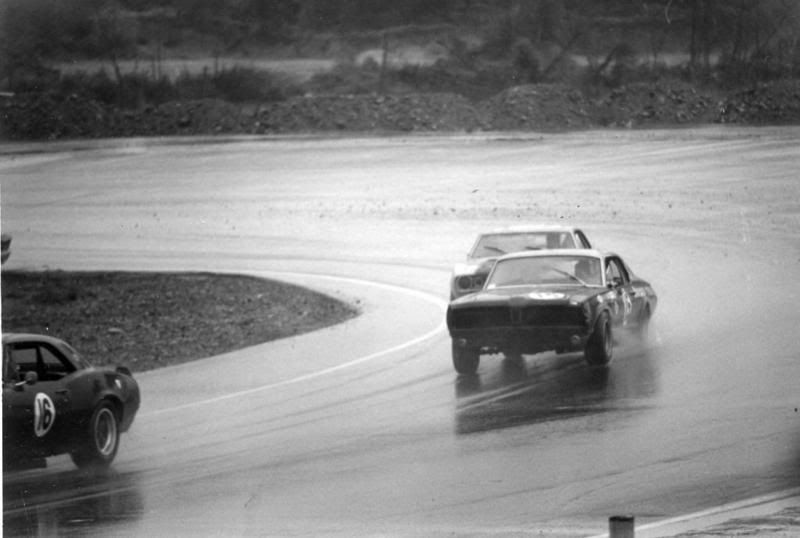 Peter Revson's Cougar puts the Johnny Moore Camaro a lap down and looks to do the same to the Pete Feistmann Mustang. 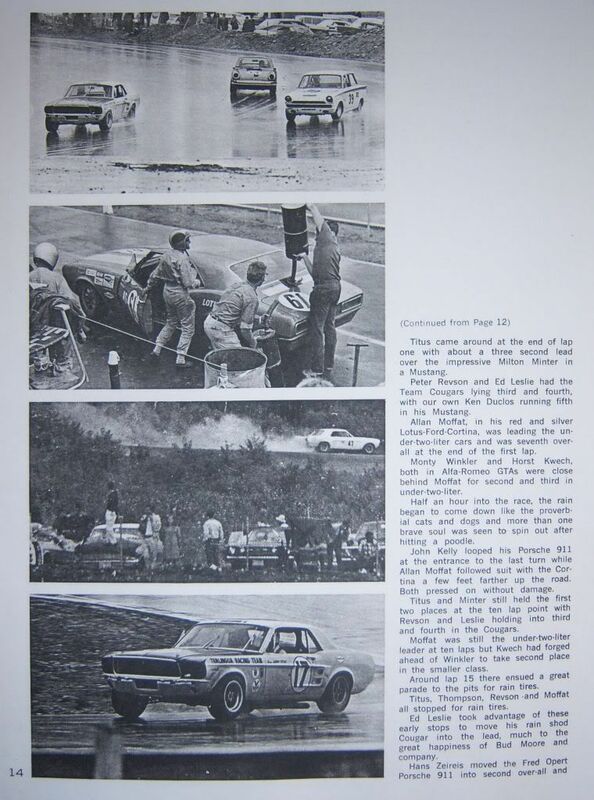 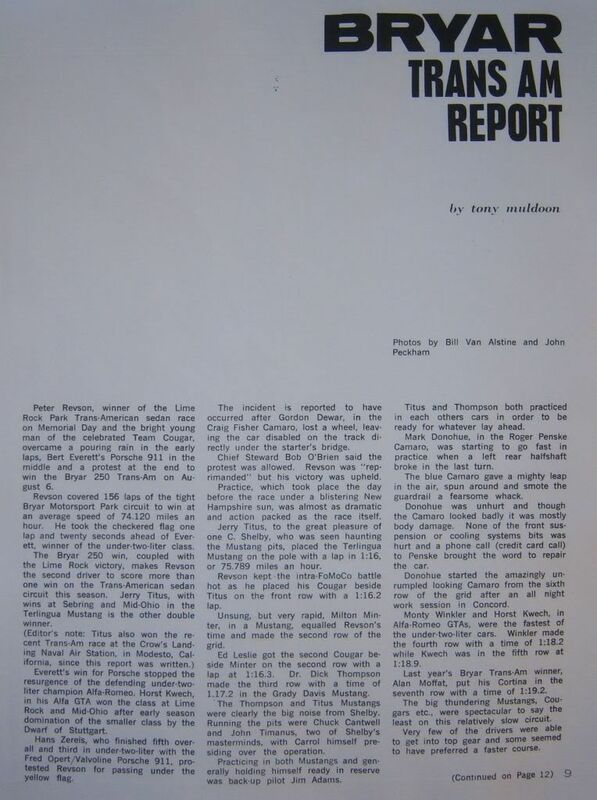 Another report on this race, this one from the Oct 8, 1967 Bryar SCCA National program. 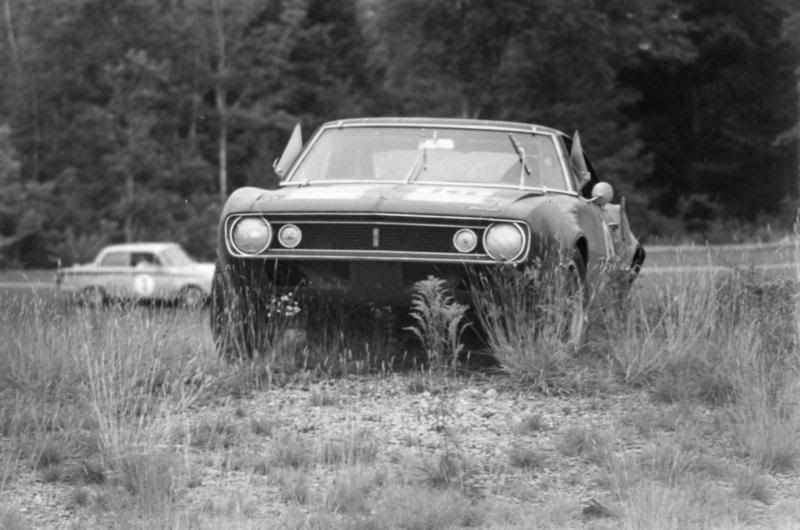 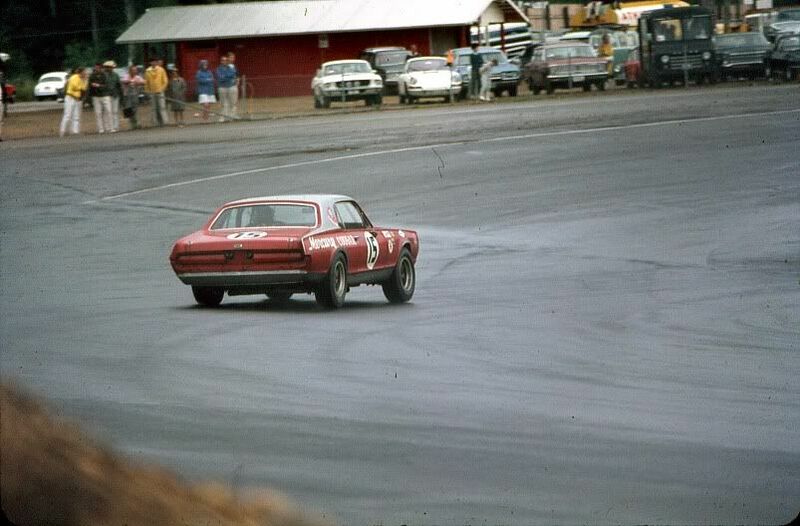 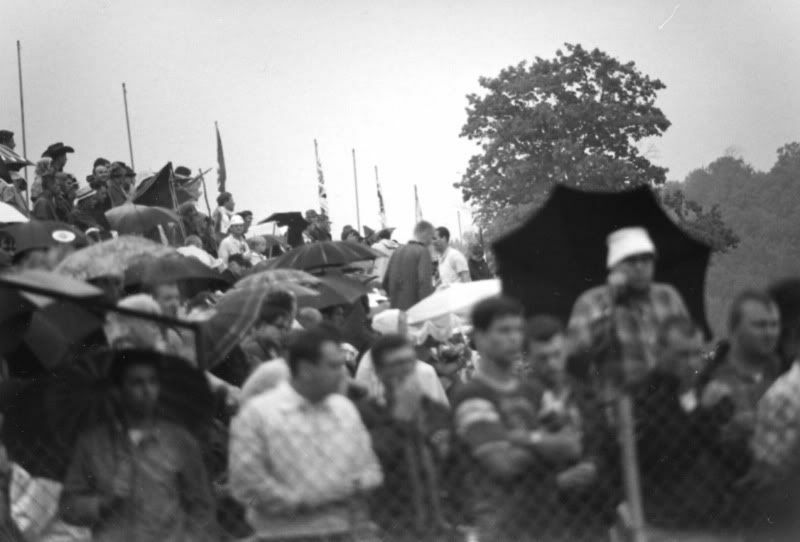 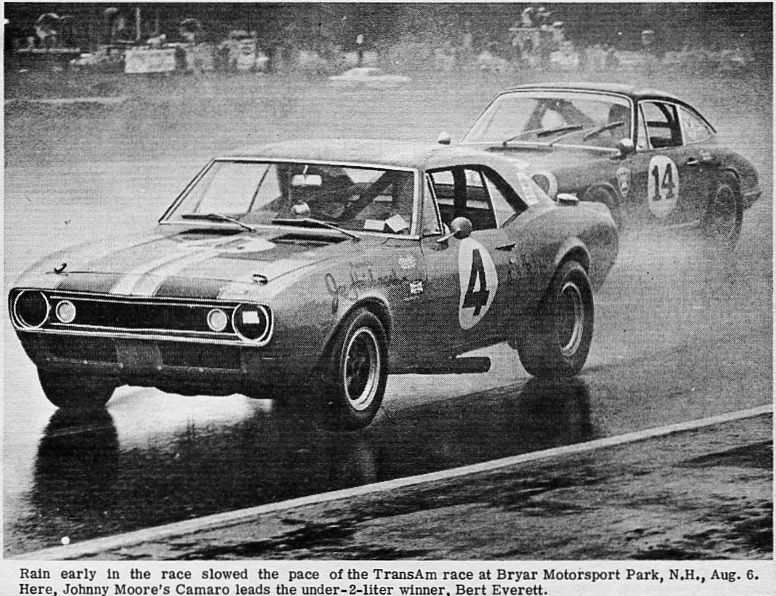 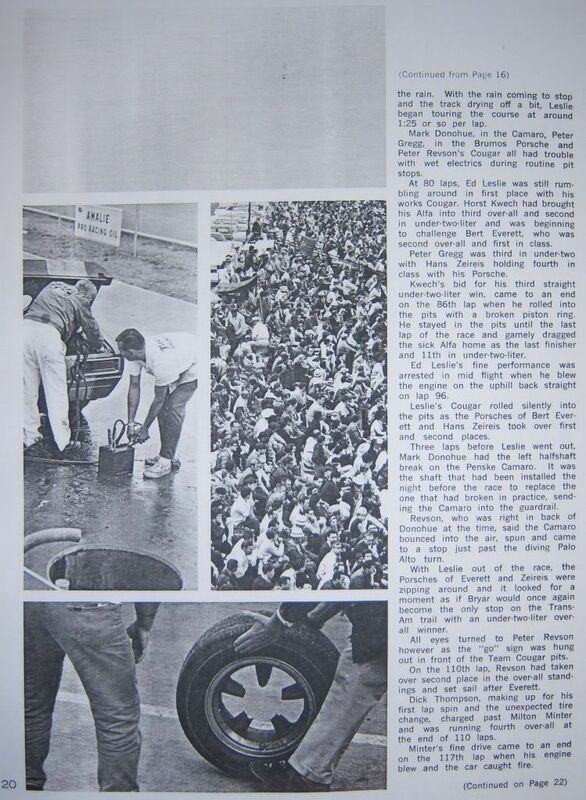 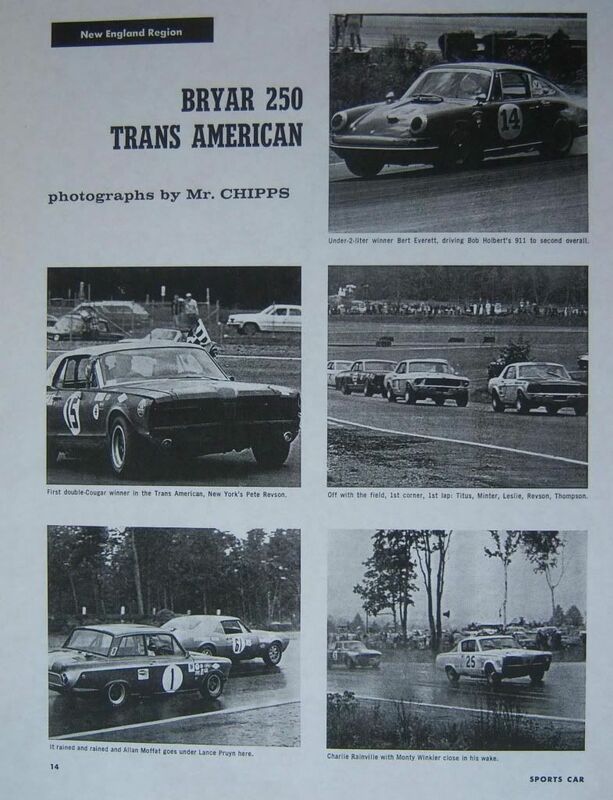 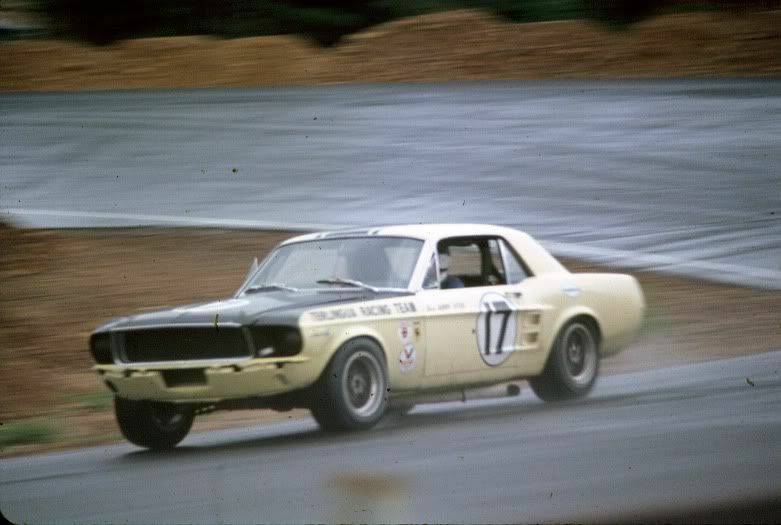 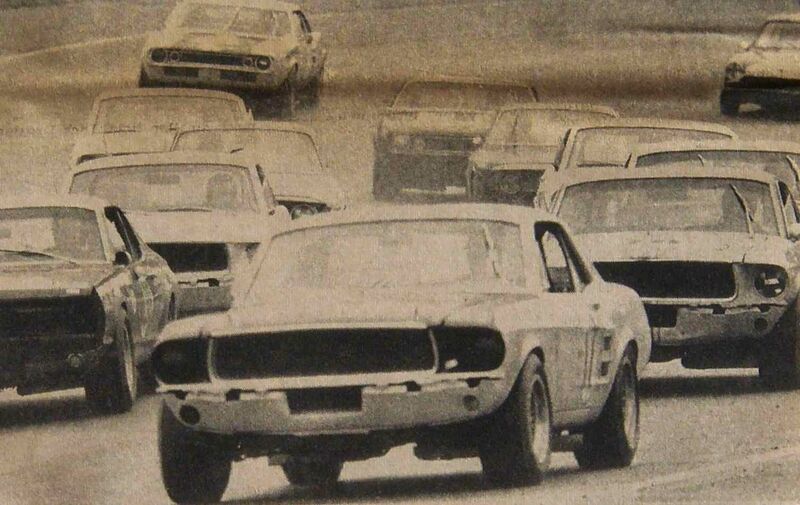 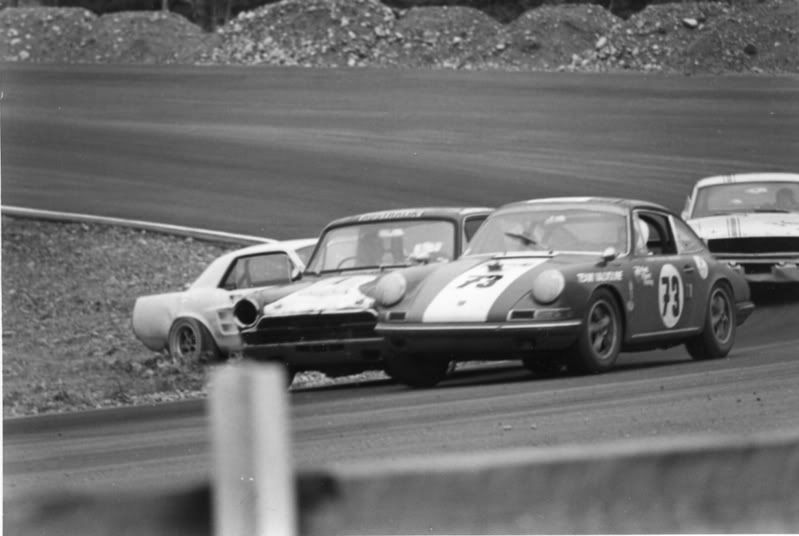 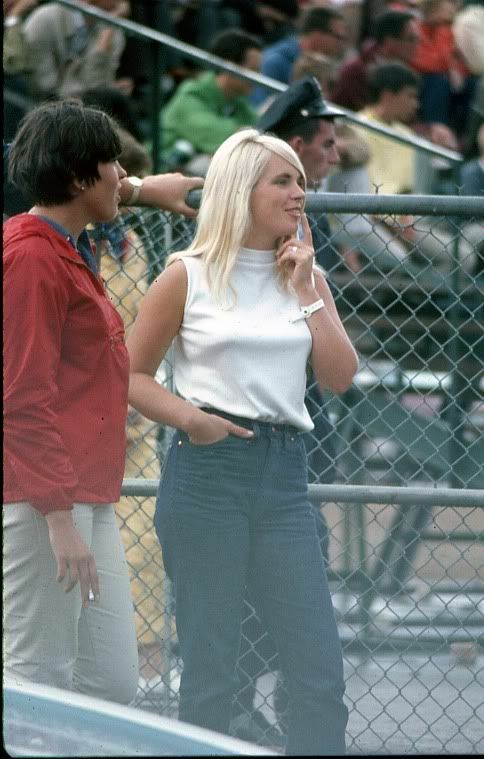 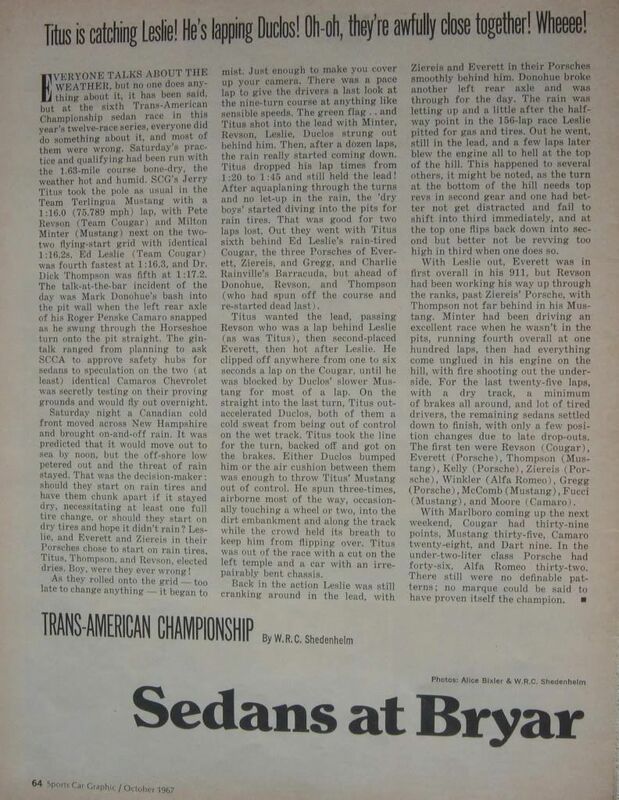 More race coverage of the '67 Bryar Trans-Am race courtesy of Ron Lathrop. 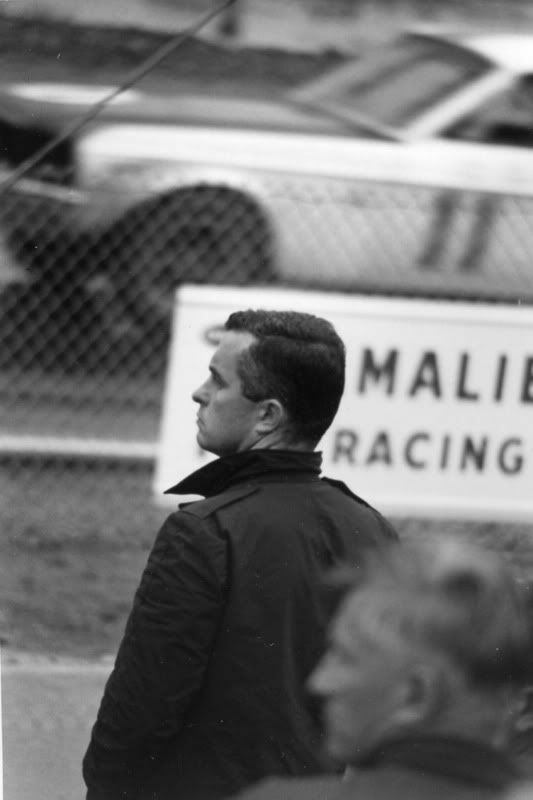 Thank you, Ron! 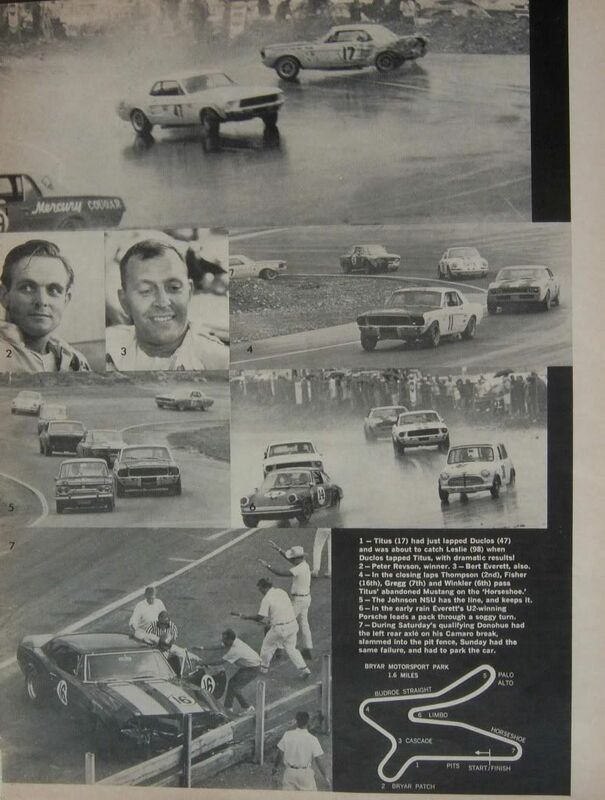 Check out the last pic in reply #8!!! 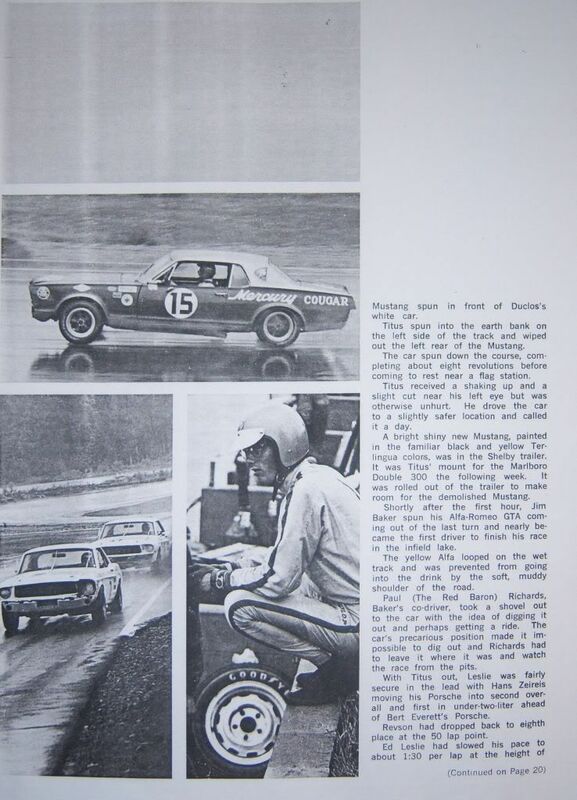 You can see the right front tire of Donahue is almost off the ground and that is on a wet track! 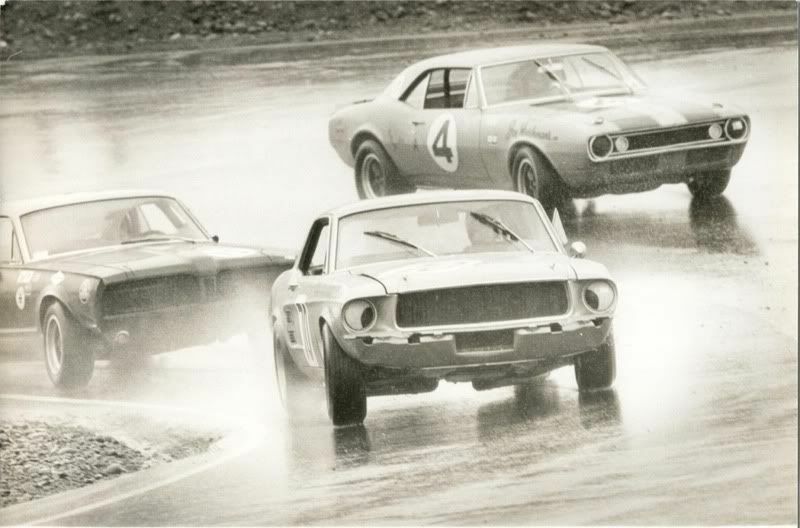 Ok...taking a second look, the mustangs and cougars have the same thing going on. 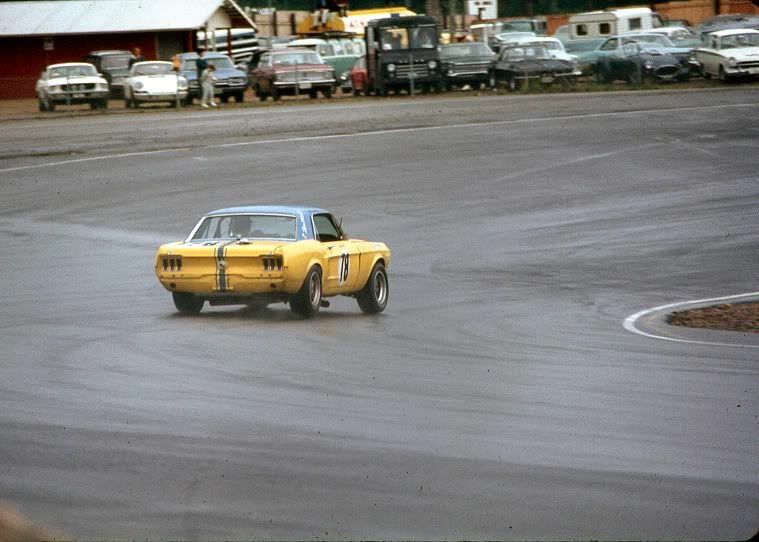 Still not as cool as the camaro doing it tho!!! 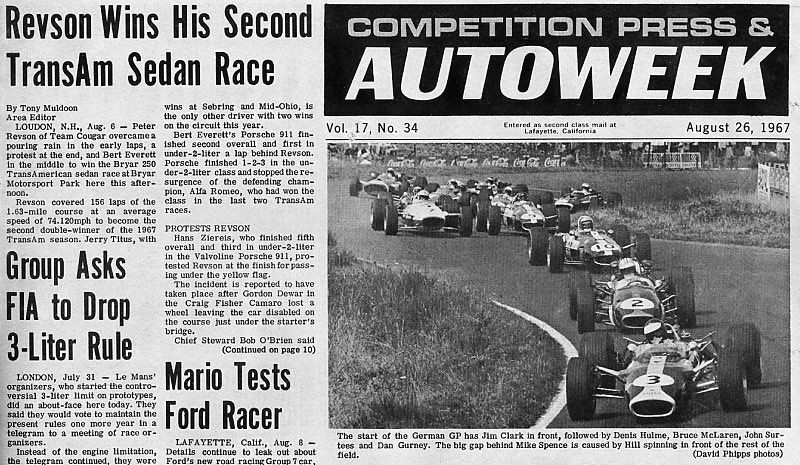 I've read through most of the reports on this race here, and wonder why did Gord Dewar take over from, or replace Craig Fisher in the "Golden Mile" Camaro ? 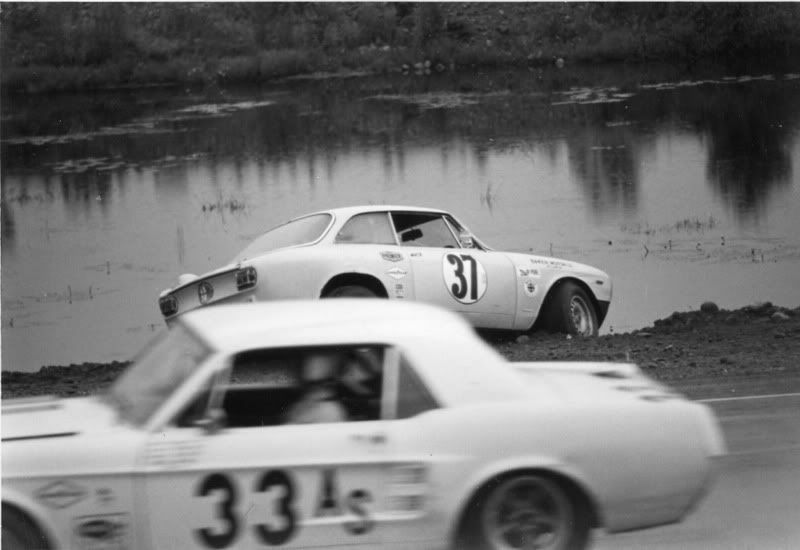 he didn't finish after losing the left front wheel. 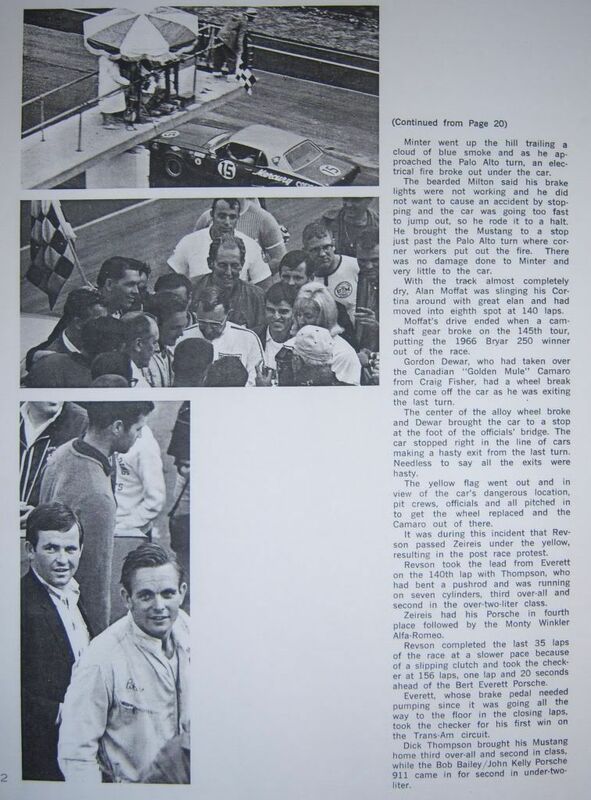 was it because of the length of the race ? 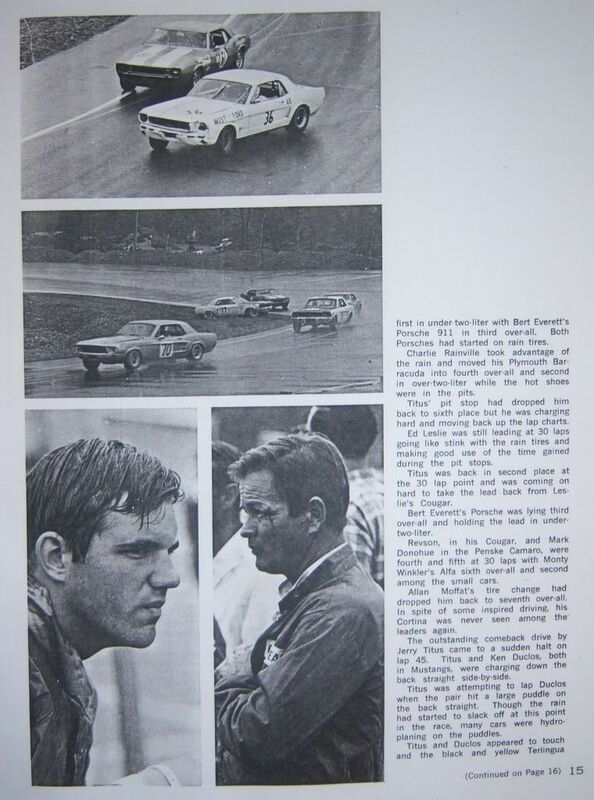 I see a couple of the other teams had two drivers as well. 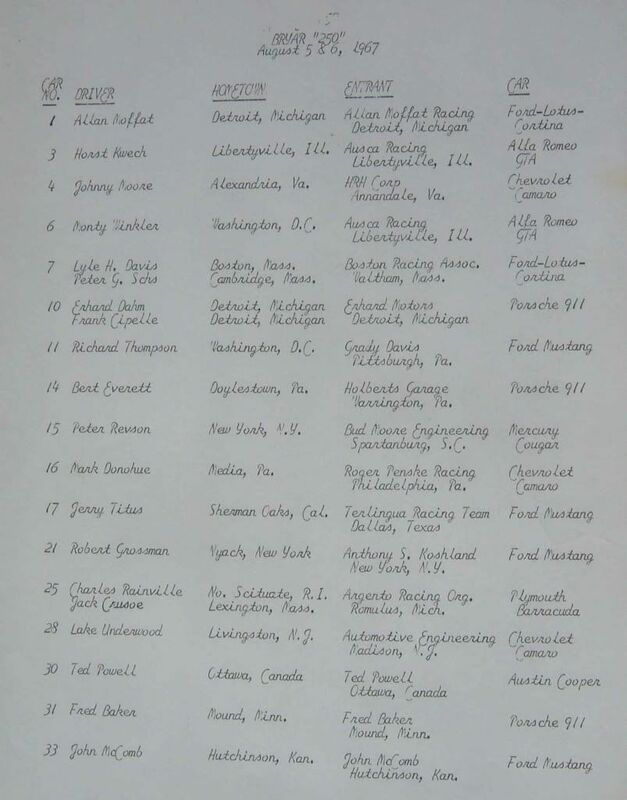 Craig Fisher was in the entry list as driver for the #77 Camaro and even in some of the reported results but he in fact had already left to join the Penske team just prior to the Bryar race and Gordon Dewar drove the car instead. 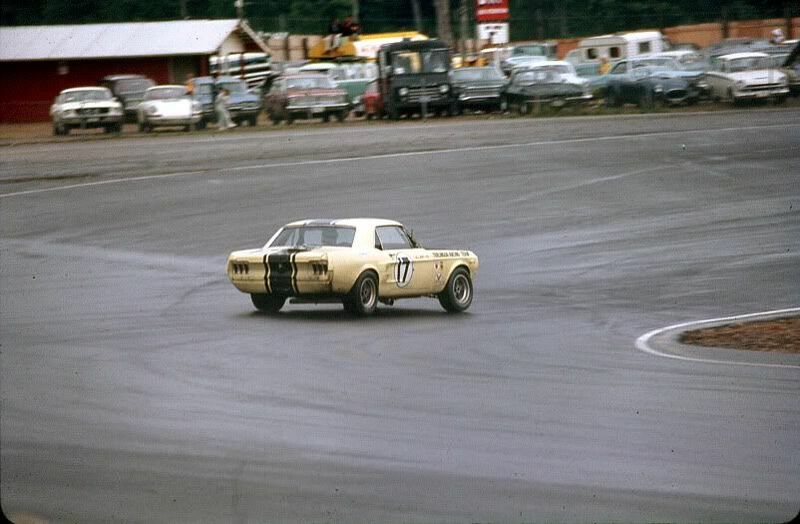 If you look at pics of Fisher's #77 at Mid-Ohio, it said "Quiet Man" (appropriate if you know Fisher) above the number roundel on the driver's door. 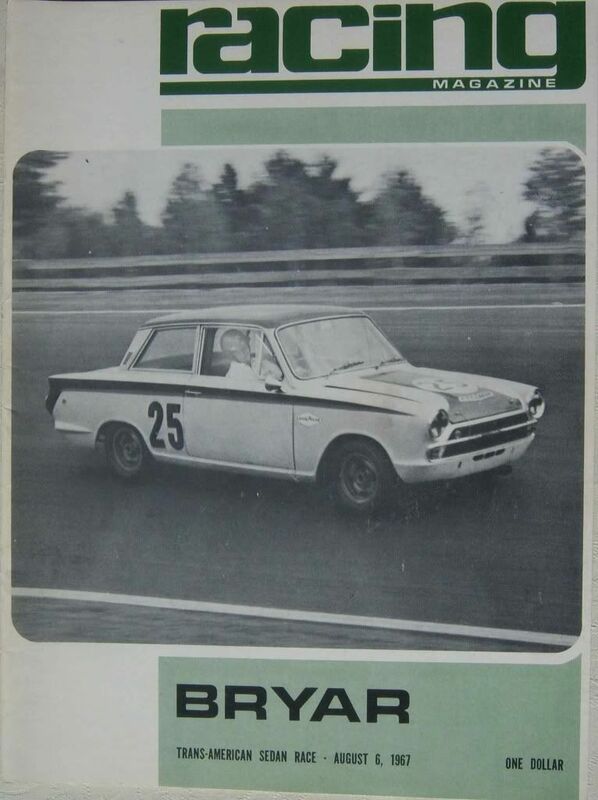 At Bryar, the words "Quiet Man" are covered over with a piece of duct tape (appropriate if you know Dewar). 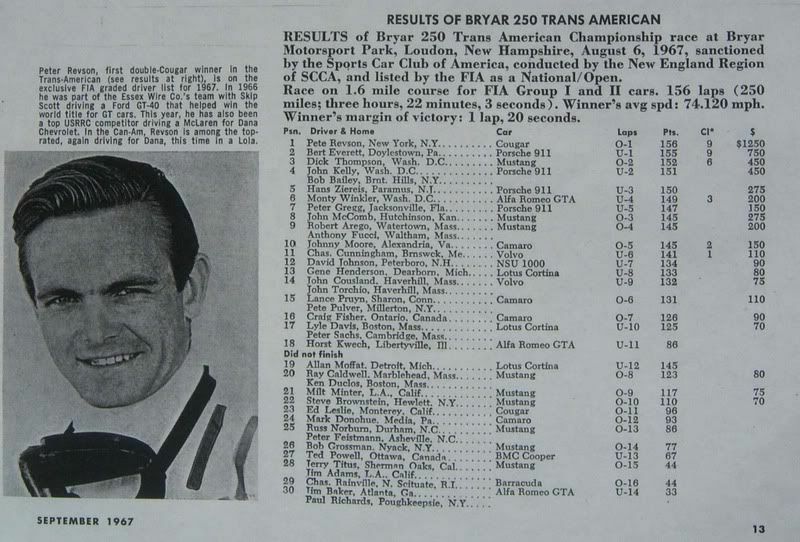 Craig Fisher told me personally he didn't drive at Bryar.